Vaughn Industries, LLC is a contractor based in Carey, Ohio providing nationwide construction of Building Tomorrow's Energy Resources. From the first residential electrical job that Founder, Ron Vaughn, performed over 53 years ago, our services have grown into the industrial/commercial sectors, including electrical, mechanical (HVAC and Pipefitting), plumbing, high voltage substation, high voltage transmission and distribution, and renewable energy construction. We are ranked 109 out of the 600 specialty contractors by McGraw-Hill ENR. 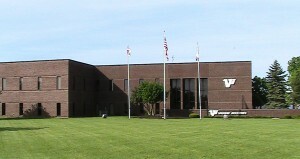 Vaughn Industries currently employs over 550 full-time employees between the corporate office in Carey, Ohio, our central Ohio office in Lewis Center, and our North Carolina office. Vaughn Industries have been ISO certified since 2007. We maintain ISO: 9001 certification. In September 2008, Vaughn Industries became OSHA STAR VPP MOBILE WORKFORCE certified, one of only 42 companies across the nation to receive this certification award. Vaughn Industries continues to strive for excellence on every job, adhering to the Vaughn philosophy of: “SAFETY, QUALITY, AND CUSTOMER SATISFACTION“. We remain a family-owned and operated business, with leadership focused on providing outstanding customer service and continued growth.